I will be voting in Mississippi's midterm election tomorrow. This state makes it about as difficult to vote as they can (e.g., ridiculous voter ID law, almost impossible to get an absentee ballot, relatively little publicity about elections or candidates), but I make sure I do it anyway. So much needs to change about this place, and refusing to vote is not going to help that happen. I'm not terribly confident that me voting is going to do a hell of a lot either, but I know that me not voting won't accomplish anything. And so I vote. 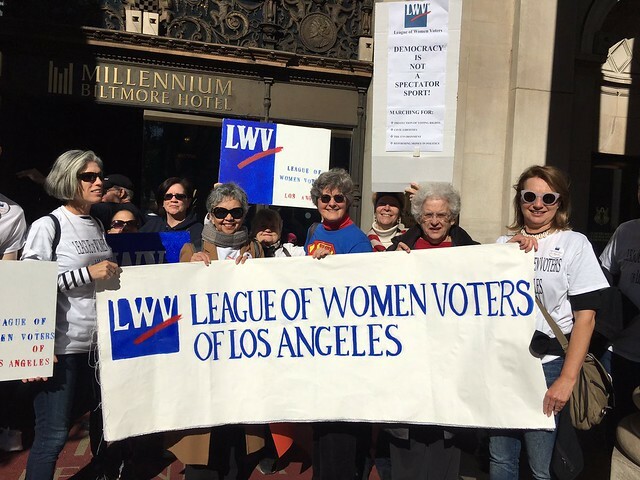 If you live in the U.S. and have the misfortune of living in an area where you feel like you rarely hear enough about the various candidates running for office or the issues that will be on your ballot (some states actually have voters vote on assorted ballot measures), I thought I'd mention a resource I have found helpful: The League of Women Voters. I don't know much about their national organization, but they have state and local chapters across the U.S. which put out nonpartisan voter guides. That is to say, they do not make recommendations about how you should vote but provide information about your options. Here in Mississippi where I rarely know the names of the people who are running for Congress much less any of those running for local office, I find their voter guide to be very helpful. After consulting their guide this morning, I realized that I will have to choose from a handful of candidates for U.S. Senate but only have one option for U.S. House of Representatives for my district. In looking through the candidate profiles for the Senate race, my choice became fairly clear. The process took all of about 3 minutes, and I now know how I will vote tomorrow. When I lived in a state that encouraged residents to participate in the political process, I found these guides even more helpful because they would present both sides of complicated ballot measures, include statements from several candidates, and all sorts of other useful information. Now that I don't live in such a state, I use them mostly to make sure that anyone I might vote for to be a judge graduated from high school. I wish I was kidding. To find their voter guide in your area, just search for "League of Women Voters" followed by the name of your state. At least, that's how I found mine.